For all golf enthusiasts, Windsor offers a challenging but pleasant 18 Hole championship golf course. 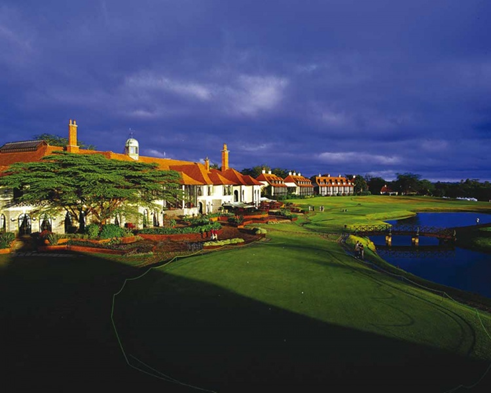 This undoubtedly is one of the best golf courses in Kenya and is said to be the best in Africa for a host of golfing events. 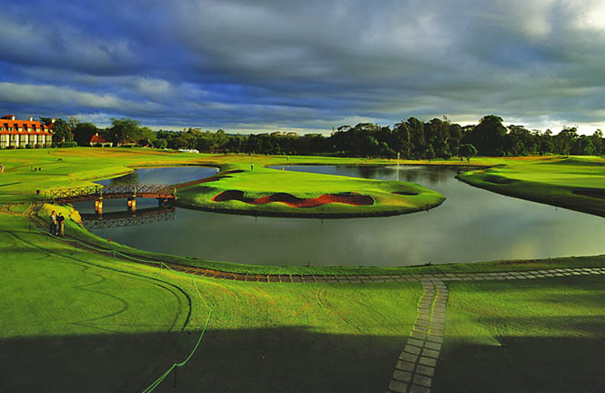 The championship design and length (7,277 yds) of the course is the center of attention and deservedly so. It threads its way through coffee farms and indigenous forests with high and low terrain, giving it character and design quality. The Golf Course boasts lush, springy fairways, fast, true greens and a sprinkling of attractive water hazards with 73 well located sand bunkers and unforgiving roughs make this course a truly challenging experience. Situated at an altitude of more than a mile above sea level (6000ft), the ball will travel 10 yards further than at sea level. Even for the non-golfer the course is a beautiful walking experience luxuriating in the wonders of nature with bird life, fish, flora and fauna in abundance. Opening hours are from 6.45 am to 9 pm everyday and we are always here to assist in any way we can. Our 80 deluxe standard rooms, 20 studio suites and 15 two bedroomed cottages are comfortable and quiet. They all over look the spectacular golf course, some having a clear view of Ol-Donyo Sabuk mountain. 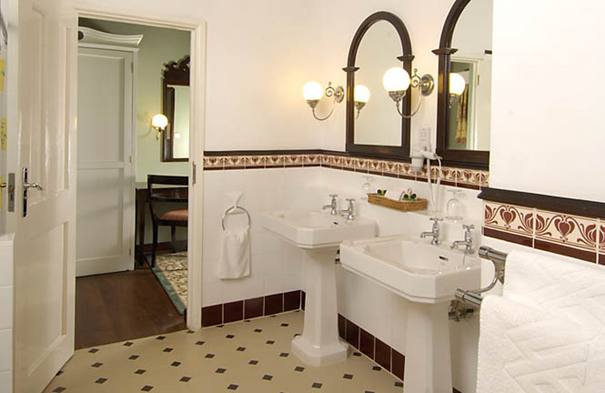 All rooms are spacious having mordern bathrooms featuring rain-sky shower heads. At the Windsor you are promised a very unique experience at the beginning or end of your day. All rooms are equipped with an inbuilt safe for all you valuables, IP-TV, free cable and wi-fi internet and direct dial telephones. Room Service is available all day and night. 67 of our deluxe rooms come with a twin bed option each having 402 square feet of space. Sleeps up to two people only. 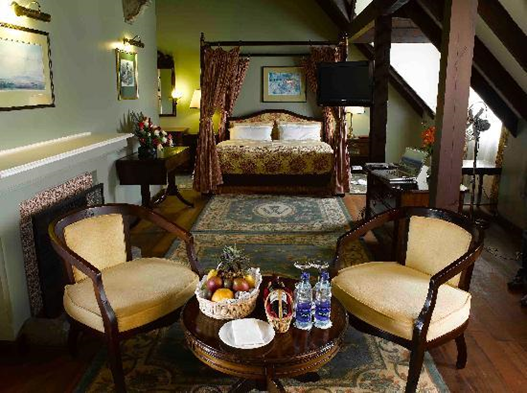 Guest room amenities include wired/wi-fi high speed internet access, two comfortable beds, cable TV and a beautiful view of one of Kenya's leading golf course. They serve as a welcome respite for the weary business traveler. You are welcome to use other facilities available in the resort e.g. 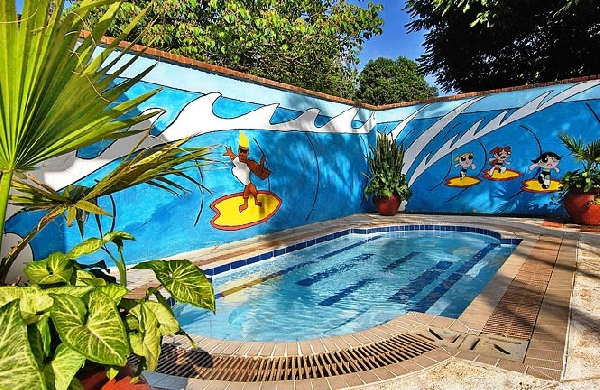 jogging or bike tracks, gym, heated swimming pool, tennis and squash courts. Our Chefs, on a daily basis, put together full breakfast at the Windsor room from 6:00am to 11:00am to help you start off your day. 13 of our deluxe rooms come with a double bed option each having 402 square feet of space. Sleeps u pto two people. Guest room amenities include wired/wi-fi high speed internet access, queen sized bed, cable TV and a beautiful view of one of Kenya's leading golf course. 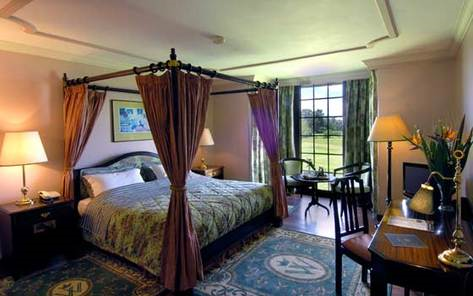 Amongst the 20 Studio suites, these rooms come with either twin beds or a double Queen Size bed. 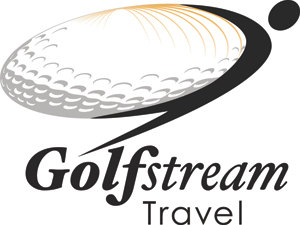 They offer you a near perfect bird's eye view of the Kenya's leading golf course and a pleasant scenery to the early morning horizon. Each room comes with 673 sqaure feet of space, a living room area, wired/wi-fi high speed internet access, queen sized bed, cable TV and own balcony. You are welcome to use other facilities available in the resort eg jogging or bike tracks, gym, heated swimming pool, tennis and squash courts. Our 15 spacious two bedroom cottages come complete with a living room and comfortable bed combinations (twin beds & double beds)offering a capacity for up to five people. The cottages cover a floor space of 675 square feet with a breathtaking view that opens up onto the lush Windsor golf course and indigenous forest, it forms the perfect location for family vacations or a fun weekend getaway with friends! Guest room amenities include wired/wi-fi high speed internet access, safes and cable TV. Revive, relax and rejuvenate. Come and enjoy our outstanding range of health and beauty treatments to suit all your needs. All our therapists are fully qualified, highly skilled and will ensure it will be worth your while. At the Windsor we have the sole aim to uncover tranquility for each and every guest by offering luxurious, highly personalized signature spa treatments. We leave it up to you to delight in the ritual that you desire. With a fully equipped gym, enjoy your workout and train to the sound of the music that fills the room. With qualified instructors, why not break a sweat to achieve your physical fitness goals. Book an appointment now and start off your tailor made program. We are amongst the few hotels in the city offering its clients a heated pool. This ensures that the activity can be enjoyed in and out of season. The facility can be used for free by our club members and their families and hotel guests. At a minimal fee, we allow visitors to the hotel to enjoy the facility which is located next to the Conservatory Restaurant. The pool is open for use from 6am-9pm daily. And for that therapeutic feel consider to have a steam bath to help in body. Our restaurants offer an elegant and intimate atmosphere for those who demand the finest international cuisine. Our kitchen is known for selecting the finest and freshest ingredients ensuring you enjoy the full flavors of our menu. From Chinese foods, Italian pizzas, grilled meat, seafood and poultry meats and our very own African dishes, our international and local Chefs do bring together their excellence by creating new culinary concepts that will tickle your taste buds by utilizing their vast culinary experience in all gastronomic art. The 24 hour Conservatory restaurant offers you a more relaxed coffee shop style menu and is located by the heated swimming pool. Here, you can enjoy a selection of freshly squeezed juices, ice creams, sorbets, pastries, coffee, tea, a choice of pizzas or your traditional cheese burger, french fries and other savories throughout the day. Multiple screens ensure that you never miss your favorite sports event, from anywhere in the world. Visit our pastry corner to order your freshly baked bread, cup cakes and cakes. The prestigious Windsor Room offers superb cuisine in the manner of a bygone age. Guests dine like royalty, making for a memorable and most pleasurable culinary experience. Enjoy homemade breads, superb dishes, exquisitely fresh food, authentic after-meal delights, a choice from our A La Carte menu featuring among others red meats, poultry dishes and fine fish delicacies. This restaurant caters for up to 70 guests. 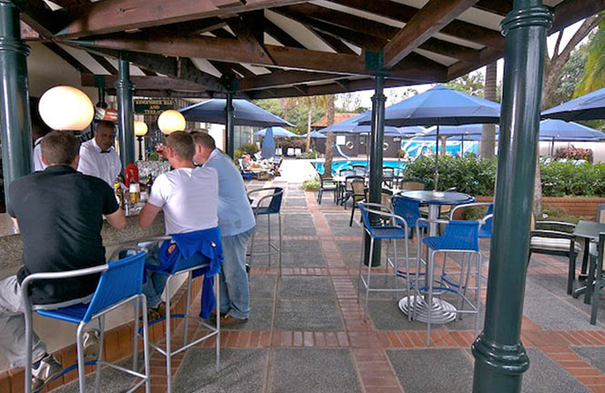 This bar is located at the lobby level and overlooks the hotel’s crystal blue swimming pool having a fully stocked bar which offers a variety of cocktails, exotic single malt whiskeys, cigars and soothing back ground music. 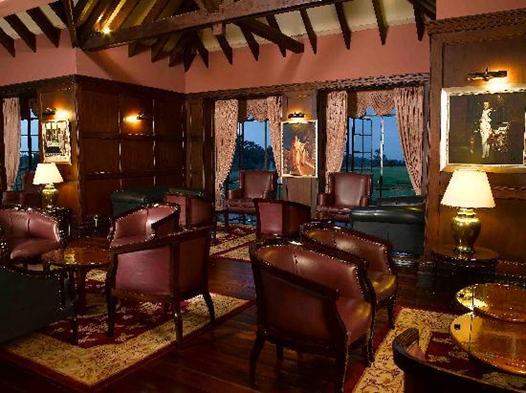 The Windsor Golf Hotel & Country Club is a Kenyan 5 star hotel resort with a cluster of impressive Victorian style buildings with 130 deluxe rooms comprising twins, doubles, studio suites and cottages all overlooking our spectacular 18-hole championship golf course, are tastefully decorated and have five-star amenities. With a 16-hour business center, free internet access in all rooms & free wifi in public areas, jogging track, tennis & squash courts, heated pool among other facilities ensure you and even your family won’t miss a moment of excitement when you choose to stay/visit the Windsor. 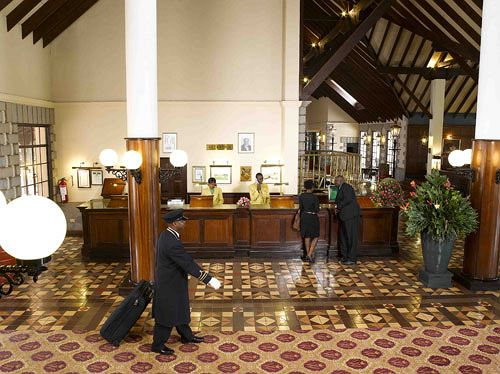 Our greatest asset is SPACE, an AWESOME AMBIANCE and YOU our most valuable guest.